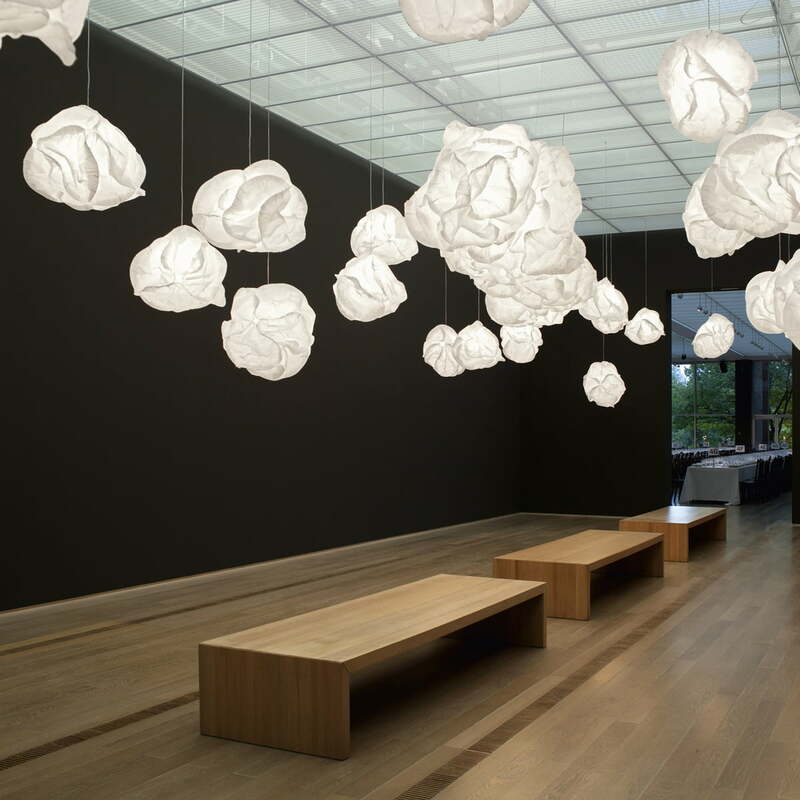 With Cloud, Belux presents master architect Frank O. Gehry’s first lighting design intended for serial production. Light has since remained one of the central themes of the work of American architect Frank O. Gehry, who has been awarded the Pritzker Prize and is one of the most renowned architects of our time. From the late 60s until today, he has worked with innovative lighting concepts for his varied construction projects and on the design of lamps. In close cooperation with the company BELUX, Frank O. Gehry has now designed one of the lighting collections intended for series production. Its name alone – CLOUD – refers to the poetic character of this creation, which embodies the will of its creator - ‘the feeling of freedom and eccentricity’. 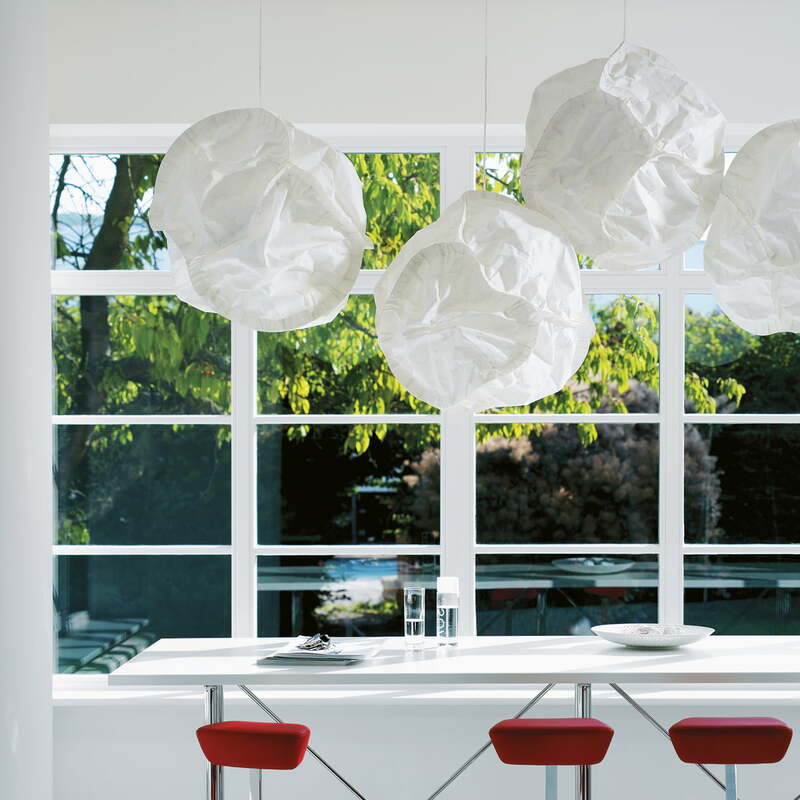 Offered in different sizes and versions – either as pendant, standing, floor or table lamp – its shared trait is a voluminous but soft, paper-like shade, in which an invisible lightbulb is located in the middle. 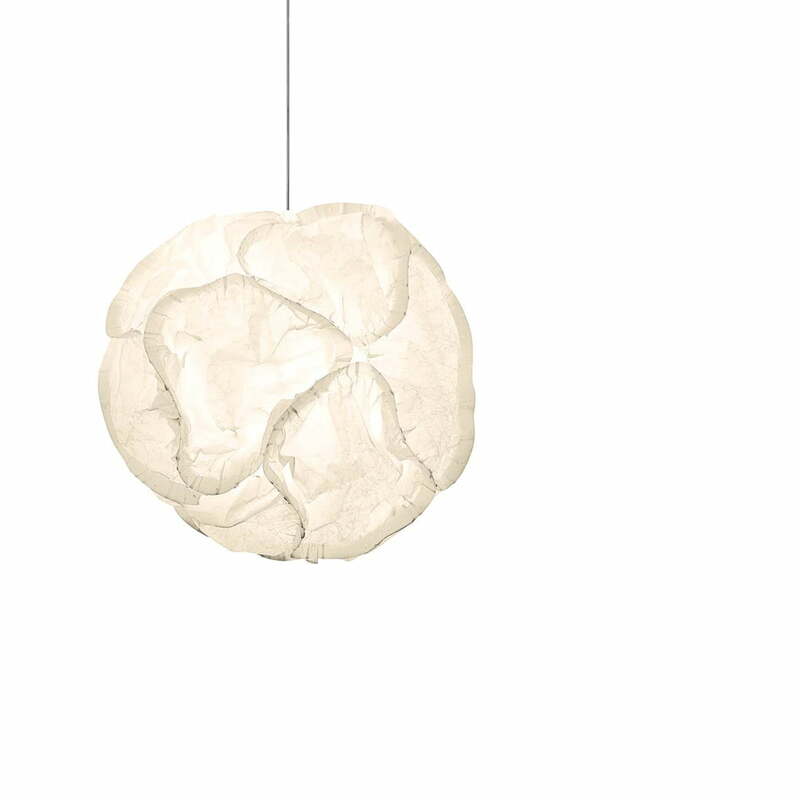 Its irregular sculptural shape marked by countless folds, wrinkles, bulges and dents soon is reminiscent of breezy fair-weather clouds, almost like a large, soft snowball. Only at second glance does it become clear that the shade includes several elements stacked together. Every lamp has an individual note, despite all using the same construction and prescribed basic shape, as the shade’s folding structure that arises more or less randomly during the production process can and should be changed with simple bulging or impressions. In this way, CLOUD makes its users fellow designers - and, if desired, always something new. Gehry himself wants to present CLOUD as a homage to Isamo Noguchi. 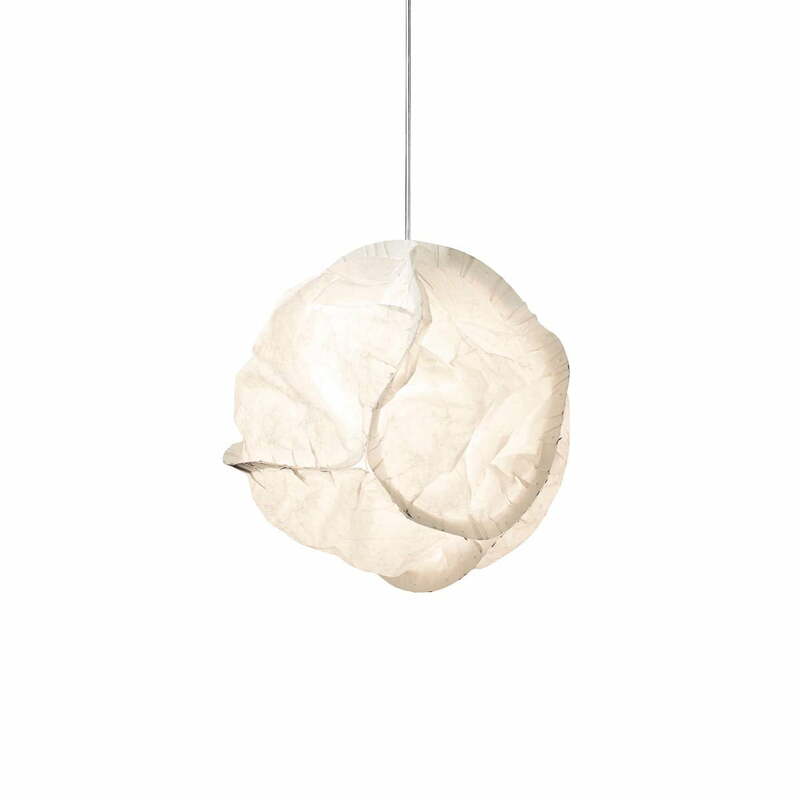 With its famous, paper Akari lamps, his design has most in common with sculptural quality. Another parallel to Noguchi is Gehrys lasting interest in material paper, which he has already intensely worked with for his furniture projects. So it is not surprising if the first prototype of the new light results from complexly shaped paper trays, connected with each other using staples. For lighting and safety reasons, however, an alternative material was needed for series production. After intensive research, polyester fleece was used especially for this purpose, being similar in appearance and feel to strong, lightly fibrous paper. Flexibly reshaped, tearproof, flame-retardant, age-proof and simple to clean, the material is an ideal choice for CLOUD. For the production of CLOUD, arches made of this new material are deep-drawn onto bowls and, for bracing, then fitted with a ring made of transparent polycarbonate. Five, seven, ten or fourteen of these bowls, put together with small plastic clips, make a lampshade. After assembly, it is pressed to a thickness of 10 cm for transport and then can be unfolded in a few steps by the customer before being put into its (perhaps) final form. A filigree wire structure, which the bracket for the lightbulb is also integrated into, is used as a holder for the shade. The modular construction of CLOUD makes it possible to produce special customised editions in addition to the standard sizes defined for the series. 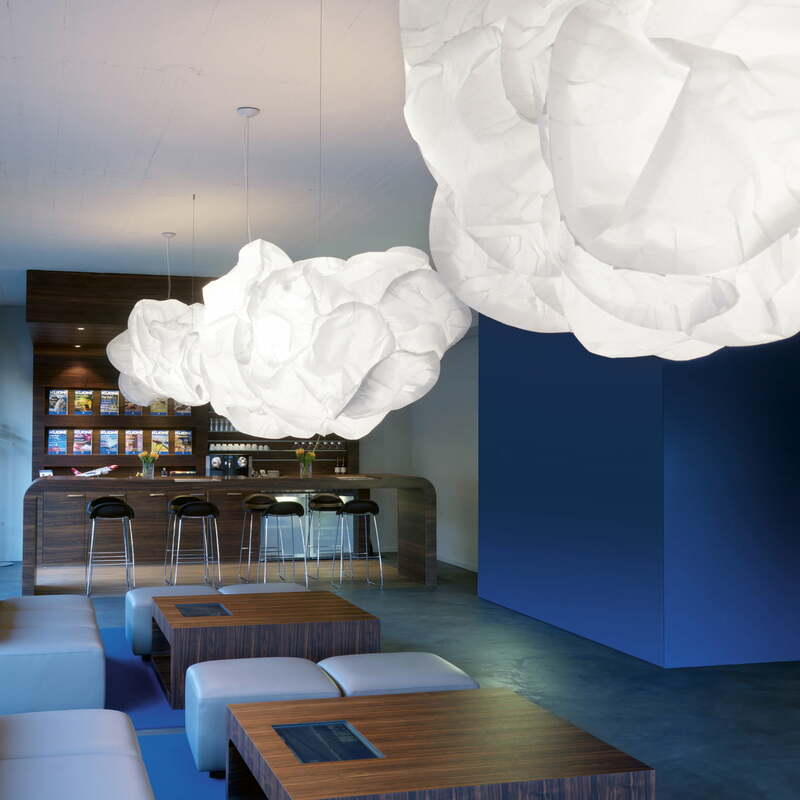 Thanks to its materialisation and number of options available, the CLOUD Collection can be used in many ways. 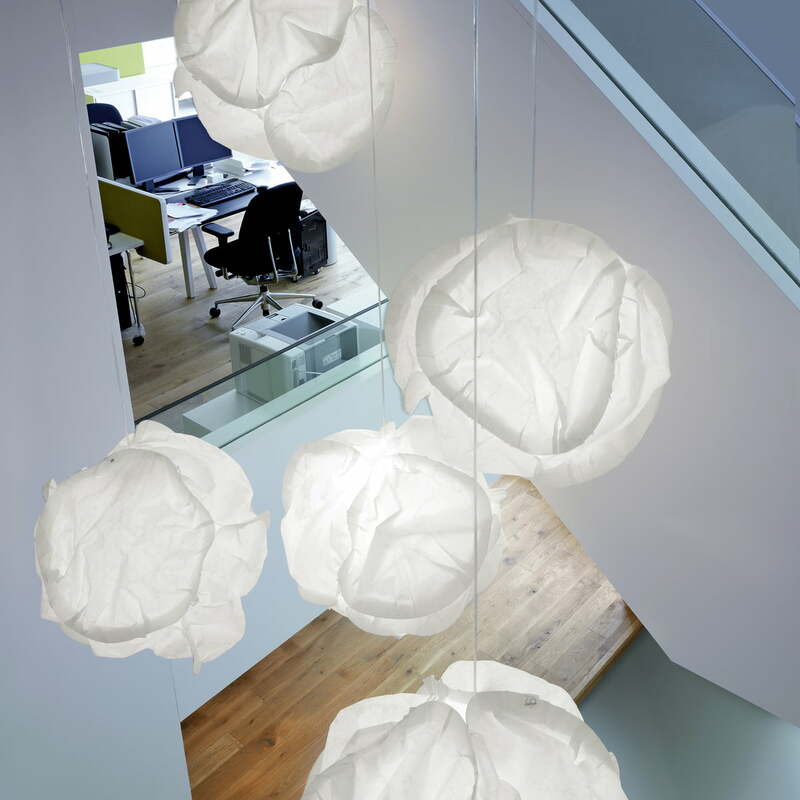 It not only looks good in private spaces, but also in commercial ones such as lobbies, lounges, restaurants or meeting rooms. 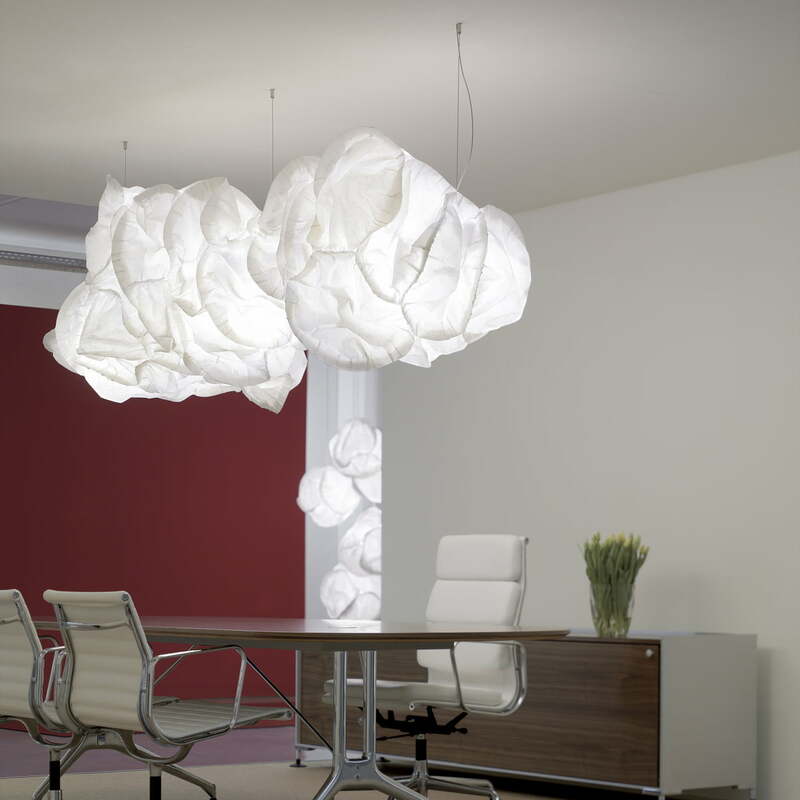 The Cloud lamp is also available as a standing lamp (7 elements) or floor lamp (5 or 7 elements). 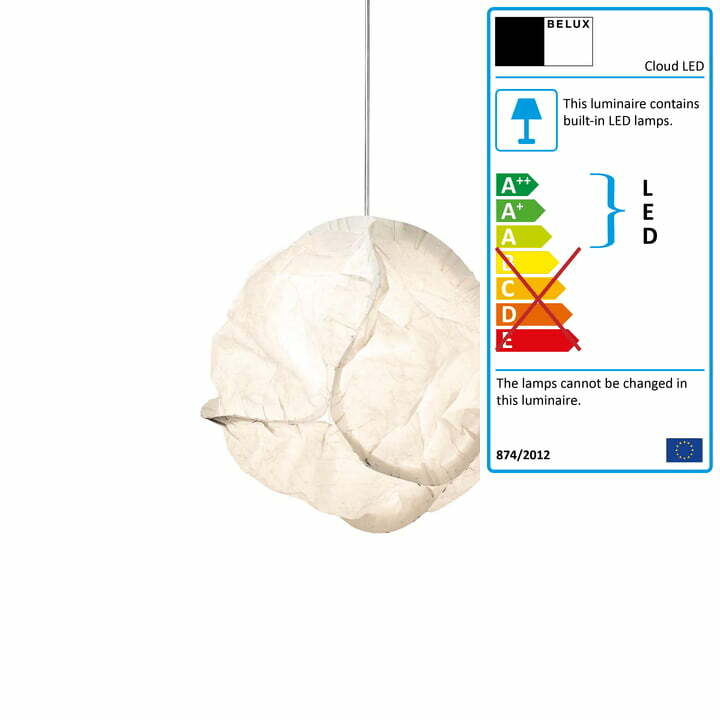 The pendant lamp can also be ordered with 14 elements.